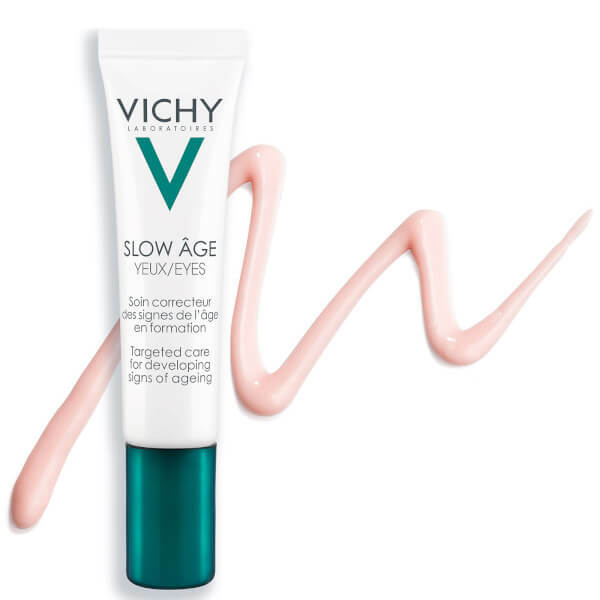 Awaken the eye area with the Vichy Slow Âge Eye Cream; an intelligent, anti-ageing formula that targets fine lines, puffiness and dark circles. 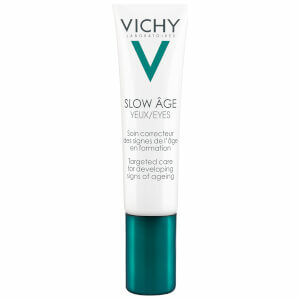 Swiftly smoothing over the delicate eye contour, the cream is fast absorbed, delivering instant and long-lasting radiance. 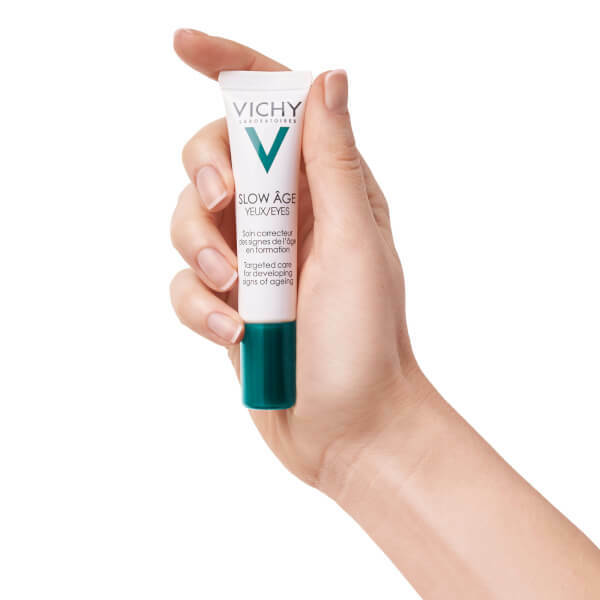 Combating developing signs of ageing, the anti-oxidant rich Slow Âge formula combines Baicalin, Ginkgo Biloba Leaf and Caffeine, which work to revitalise the skin. 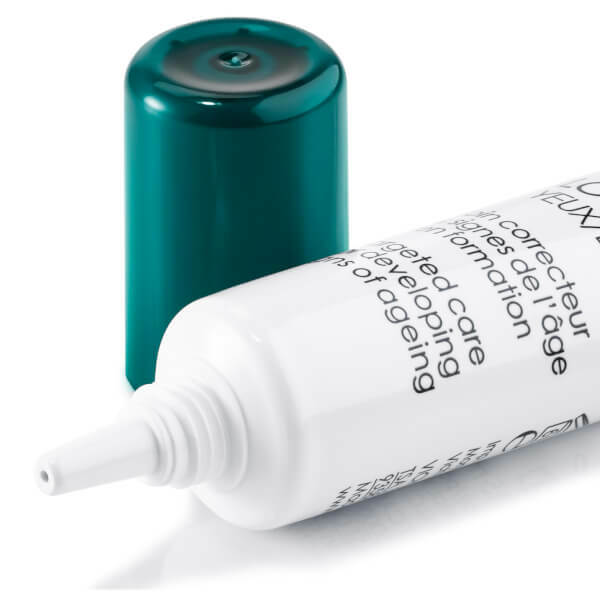 The rich cream visibly smoothes skin, reducing the appearance of fine lines and wrinkles, whilst brightening the eye area to eliminate dark circles. Puffiness is also significantly reduced, leaving eyes bright, radiant and youthful. Expect to appear well rested and glowing. Suitable for sensitive skin. Apply morning and/or night to the eye area, using the ring finger. Aqua / Water Dimethicone Glycerin Bifida Ferment Lysate C12-15 Alkyl Benzoate Butyrospermum Parkii Butter/ Shea Butter Stearic Acid Palmitic Acid PEG-100 Stearate Paraffin Glyceryl Stearate Tocopherol Pentylene Glycol PEG-20 Stearate CI 77891/Titanium Dioxide CI 77491 / Iron Oxides Stearyl Alcohol Sorbitan Oleate Isobutane Triethanolamine Dimethiconol Caffeine Isohexadecane Myristic Acid Sodium Benzoate Ginkgo Biloba Leaf Extract Phenoxyethanol Adenosine Boron Nitride Ascorbyl Glucoside Caprylyl Glycol Citric Acid Scutellaria Baicalensis Extract/Scutellaria Baicalensis Root Extract Synthetic Fluorphlogopite Pentaerythrityl Tetra-Di-T-Butyl Hydroxyhydrocinnamate Acrylamide/Sodium Acryloyldimethyltaurate Copolymer Cetyl Alcohol Polysorbate 80 Acrylonitrile/Methyl Methacrylate/Vinylidene Chloride Copolymer.